Please read these terms and conditions carefully before using this website. 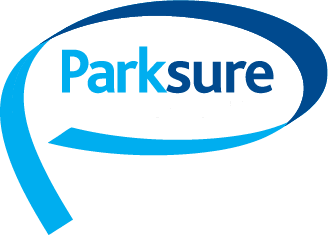 Wherever Cass-Stephens or Cass-Stephens Insurances Ltd is mentioned, this includes the subsidiary of Parksure Insurance Ltd and Flamesure Insurance Ltd and should be read as such. Cass-Stephens Insurances Ltd reserves the right, at its sole discretion, to change, modify or remove part of this legal notice at any time. Please check this page periodically for changes. Cass-Stephens is representative of Cass-Stephens Insurances Ltd. THE MATERIAL AND INFORMATION IN THIS SITE AND IN OTHER SITES OF CASS-STEPHENS ARE PROVIDED “AS IS” AND WITHOUT WARRANTIES OF ANY KIND, EITHER EXPRESSED OR IMPLIED. CASS STEPHENS AND ANY SUBSIDIARIES AND AFFILIATES DISCLAIM ALL WARRANTIES, INCLUDING, BUT NOT LIMITED TO, IMPLIED WARRANTIES OF MERCHANTABILITY AND FITNESS FOR A PARTICULAR PURPOSE. CASS-STEPHENS DOES NOT REPRESENT OR WARRANT THAT ANY OF THE INFORMATION PRESENTED ON ITS WEB PAGES, THIS WEB SITE OR ON THE INTERNET GENERALLY, WILL BE UNINTERRUPTED OR ERROR FREE, THAT DEFECTS WILL BE CORRECTED, OR THAT THIS WEB SITE OR THE SERVER FROM WHICH IT IS ACCESSED ARE FREE FROM VIRUSES, WORMS, TROJAN HORSES OR OTHER HARMFUL COMPONENTS. In no event shall Cass-Stephens Insurances Ltd be liable for any cost or direct, indirect, special, incidental or consequential damages arising out of or in connection with the use of, or the inability to use this website. It is your responsibility to evaluate the accuracy, completeness and usefulness of any opinions, advice, services or other information provided. All information contained on any page set up by an entity of Cass-Stephens Insurances Ltd is distributed with the understanding that the authors, publishers and distributors are not rendering professional advice or opinions on specific facts or matters and accordingly assume no liability whatsoever in connection with its use. Unless otherwise noted, the graphic images, buttons, layout, and text contained in this website and in any other sites of Cass-Stephens Insurances Ltd or any related, affiliated and subsidiary companies are the exclusive property of Cass-Stephens Insurances Ltd and/or its related, affiliated and subsidiary companies or used with permission and may not be copied or distributed, in whole or in part, without the express written consent of Cass-Stephens Insurances Ltd or its related, affiliated and subsidiary companies. Permission is granted to print copies of this document, and to display and use this document with a computer solely for personal use. Cass-Stephens Insurances Ltd and its related, affiliated and subsidiary companies can not guarantee that the hyperlinks, pointer or other linking functions (“Hyperlink”) set out on the sites will be accurate at the time of your access. Moreover, any external sites pointed at by Hyperlinks are possibly developed and maintained by persons over whom Cass-Stephens Insurances Ltd or its related, affiliated and subsidiary companies have no control. We cannot and do not monitor any external sites linked to our pages on the Internet. Accordingly, Cass-Stephens Insurances Ltd and/or its related, affiliated and subsidiary companies assume no responsibility for the content of any sites referenced to by any Hyperlink or otherwise. Cass-Stephens Insurances Ltd and/or its related, affiliated and subsidiary companies believe that their making Hyperlinks available to publicly accessible Web pages and newsgroups is legally permissible and consistent with the common, customary expectations of those who make use of the Internet. You may not provide Hyperlinks to this Web site without prior written consent of Cass-Stephens Insurances Ltd.
Cass-Stephens Insurances Ltd and/or its related, affiliated and subsidiary companies are committed to respecting the privacy of your personal information and, considering current technology, has taken all reasonable measures to do so. Cass-Stephens Insurances Ltd and/or its related, affiliated and subsidiary companies are not obligated to monitor any transmission made through the respective web pages and newsgroups. However, Cass-Stephens Insurances Ltd and/or its related, affiliated and subsidiary companies have the right, but not the obligation, to monitor any transmission made to and for this website. Cass-Stephens Insurances Ltd and/or its related, affiliated and subsidiary companies may reproduce, use, distribute or disclose information transmitted to this site or collected through the use of this website. You acknowledge that such information shall be deemed to be non-confidential and that your communication may be read or intercepted by others. You acknowledge that no obligation of any kind shall be attached to such information and that by transmitting information, no confidential, contractually implied or other relationship is created between you and Cass-Stephens Insurances Ltd and/or its related, affiliated and subsidiary companies. Cass-Stephens Insurances Ltd and/or its related, affiliated and subsidiary companies do not warrant that any information, software or other material accessible through one of their Web pages is free of viruses, worms, Trojan horses or other harmful component. Cass-Stephens Insurances Ltd and/or its related, affiliated and subsidiary companies assume no responsibility and shall not be liable for any, direct, indirect, incidental or consequential damages that result from the use, access to, browsing in or downloading of any information, data, text, images or other material accessible through one of its web pages, this website or the website of any linked third parties. This Agreement shall be treated as though it were executed and performed in England and Wales as governed by and construed in accordance with the laws of England and Wales. The language in this Agreement shall be interpreted as to its fair meaning and not strictly for or against any party. All legal proceedings arising out of, or in connection with this agreement shall be brought solely in the city of Gloucester, United Kingdom. User expressly submits to the jurisdiction of said courts, and user consents to extra-territorial service of process. This Web site (excluding linked sites) is controlled by Cass-Stephens Insurances Ltd and/or Parksure Insurance Ltd from its corporate office in Gloucester, United Kingdom. Update of Legal Information: This page is updated and modified from time to time. Every time you access web pages of Cass-Stephens Insurances Ltd and/or its related, affiliated and subsidiary companies, make sure that you check this page.